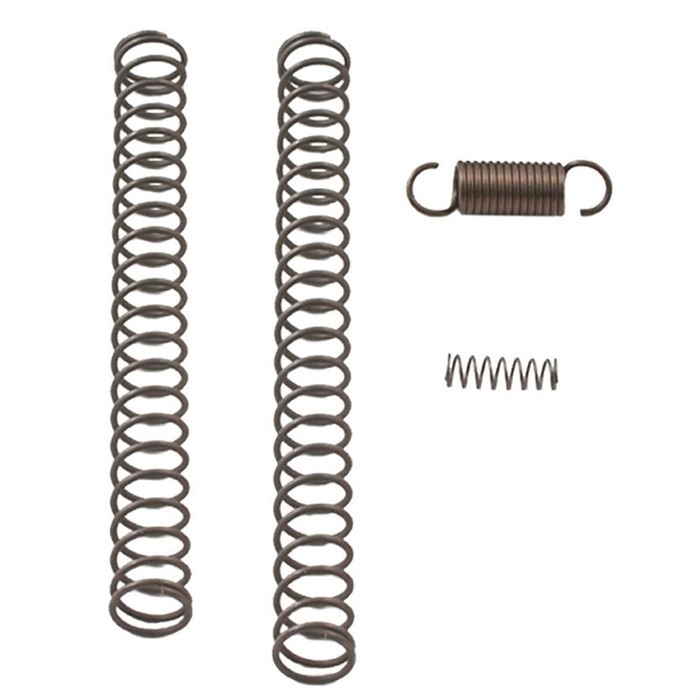 Includes 4 Lb firing pin spring, 6 Lb firing pin spring, reduced power safety plunger spring, and 6 Lb trigger spring. Umfasst 4 Lb Schlagbolzen Frühling, 6lb Schlagbolzen Frühling, verminderter Leistungsaufnahme Sicherungsfeder Kolben und 6lb Trigger Frühling. very nice and cheap upgrade for glock for under $10. I bought this without the 3.5lbs disconnector as I polished everything myself already. Using the springs does reduce the trigger pull by 2-2.5lbs(my trigger pull gauge is not good, so I only can tell how much it reduced, but not the exact weight it's at. :( ). 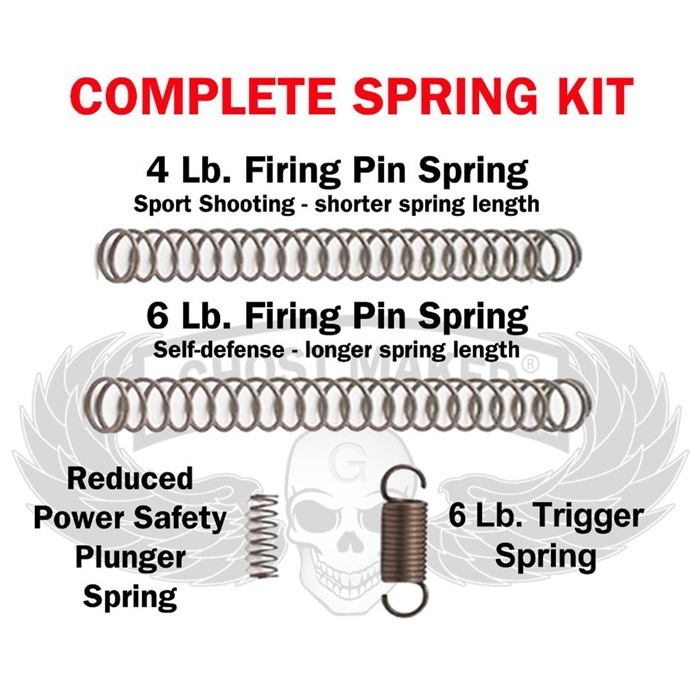 The only thing, as others said in the reviews for the complete kit with 3.5lbs disconnector, is that the 4lbs striker spring does cause light strike(use factory striker spring is fine). However, in my case, it might also be the fact that I have been using the hard russian primers. I may try federal and/or cci primer to see if I can use the lighter striker spring later on. for now, I am very happy already and will order more for all my glocks. for $10, it's a no-brainer. Great to have around in your range bag in case you need a rapair. Recommend it 100% except the trigger spring. That one seemed to make the reset sound awfully mechanical, and laboring for the weapon, but would work in a pinch. Already going to order another one when I place my next order. Never have enough spare parts.